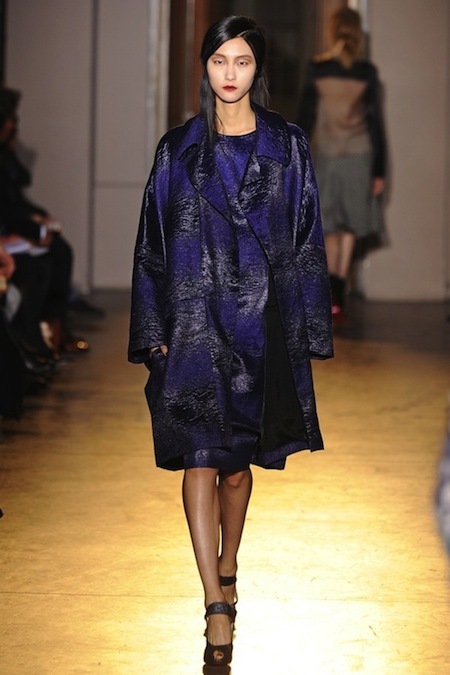 Martine Sitbon created a elegant and modern collection for Rue du Mail's Fall/Winter 2013/2014. 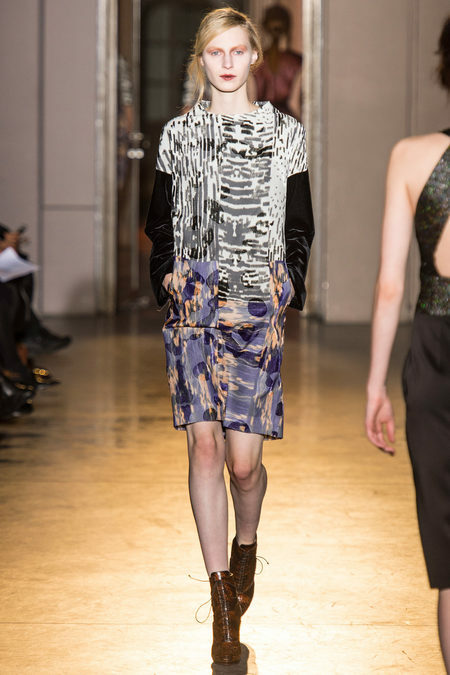 The brand is known for their intriguing mix of rock and femininity. The color palette was warm and earthy. 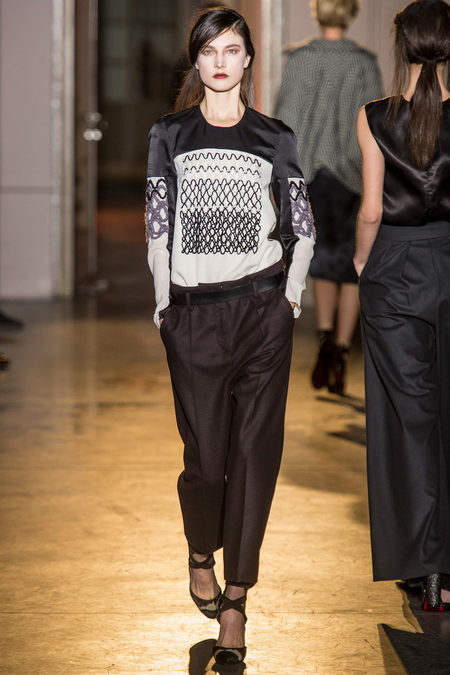 The collection exuded youthful glamour.